Founded 120 years ago as a saddlery, since 1956 GEWO has developed into one of the leading manufacturers of table tennis tables. In 1991, Frank Koschnick and Wolfgang Sohns took over the business and developed GEWO into a nationwide brand that now offers a full range of high quality table tennis products. Florian Wehner joined GEWO in 2015 with the ambition of successfully positioning the brand at international level. Along with his colleagues, he is also responsible for international marketing and building an international retailer network. However, this does not describe the full scope of his duties: they also include product development – from the initial idea to market launch, player support – from cooperation with trainers and clubs to material matters, organising training camps and sponsoring duties. Reason enough for us to request an interview. Florian, GEWO has changed a lot and grown remarkably fast since 2015. What happened? 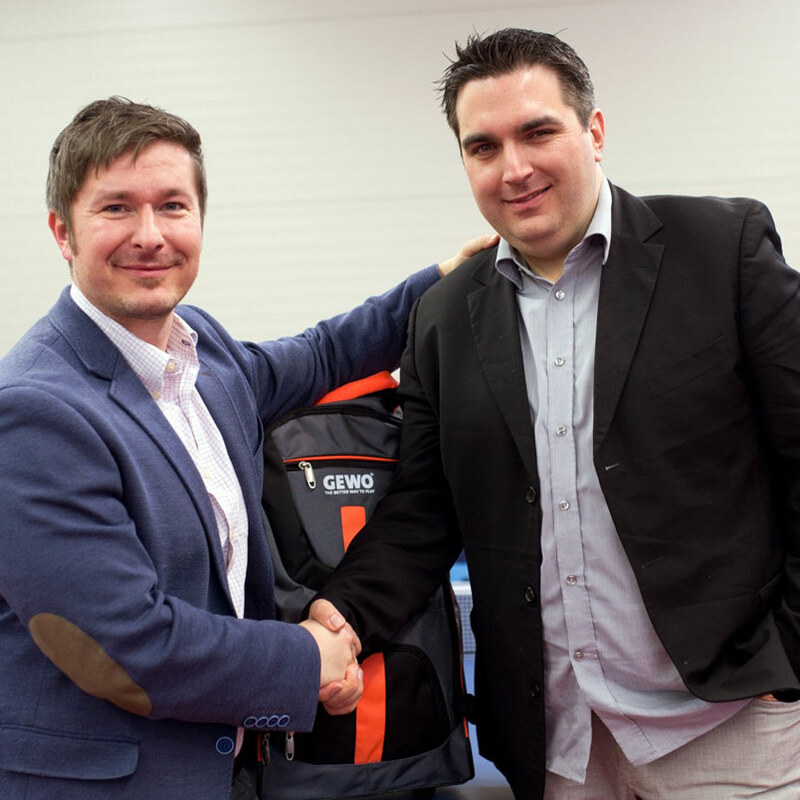 At the beginning of 2015, CONTRA (owner of the GEWO brand) underwent radical changes. Frank Koschnick went into retirement and Wolfgang Sohns acquired the shares of his long-standing partner. I joined GEWO in 2015. The year heralded the beginning of new era for us: the growth of the GEWO brand – especially internationally. “A new era” – that sound exciting and rings of a fresh start – that was the way it was for us, and the result was the LMC. What does a ‘fresh start’ mean to you? That’s exactly what makes GEWO and the LMC such perfect partners. Since 2015, we have focused on internationalisation and fostering young talent in our daily work – it is our common tie. Only recently, we founded our own company in China to take care of the distribution of our products over there. We’re still building distribution structures in many countries – nevertheless we’re still happy with development over the past three years and we look forward to what the future holds. We are focusing on forging more coop ventures, tapping markets in new countries and look forward to the successful development of our players at the LMC. 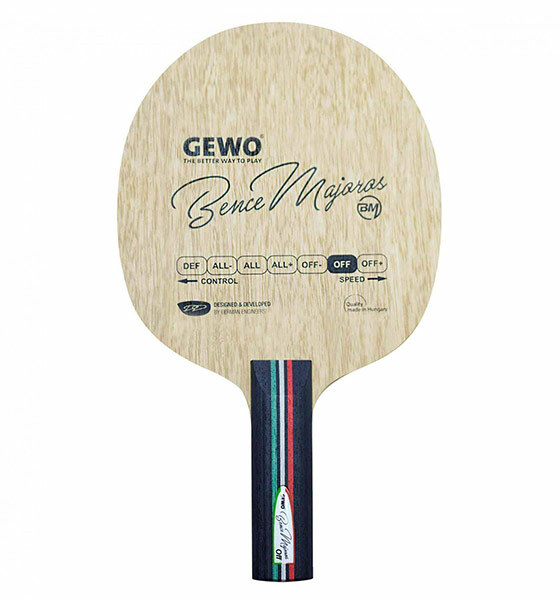 Anyone interested in the marketing of an up-and-coming table tennis brand is welcome to get in touch with me: wehner@gewo-tt.de. Visit our brand new website for more info about GEWO: www.gewo-tt.com. Let’s talk now about your players at the LMC: you are the LMC’s premium partner. Bence, Lev and Samuel – our students from Hungary, Russia and Poland – belong to the GEWO team. Tell us, why those three? I saw Lev in July 2016 at the Youth European Championships in Zagreb. He won 2 Golds there. I got together there and then with our trainer, Dima Mazunov and Lev´s trainer Alexander Sherman. We soon settled on a cooperation – so since the end of 2016 he has been under contract to us and uses only our products. Bence was an insider tip. In the summer of 2016, at the start of our cooperation he was ranked around 250th in the world – now he’s into the Top 100. That shows his potential and what a hard worker he is. Bence is a really great guy, and he suits our brand down to the ground. Samuel was another lucky catch. 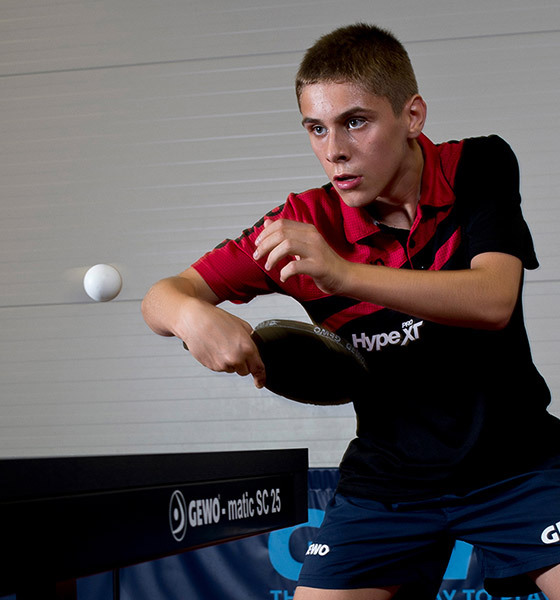 He comes from a table tennis-crazy family in Poland, all of whom we are now kitting out and supporting. Last summer, after just a short space of cooperation, he managed to win the ETTU Top10 and was thus among the best students in the whole of Europe. From January onwards, he will be living permanently in Ox – in recent months, like we did for Lev, we’ve organised personal training in Bremen and Seoul/Korea. All three are included in our plans for Paris 2024. Bence is in the Top 100 now and may possibly already qualify for Tokyo. In principle, we want to support our players in the long term, if possible. 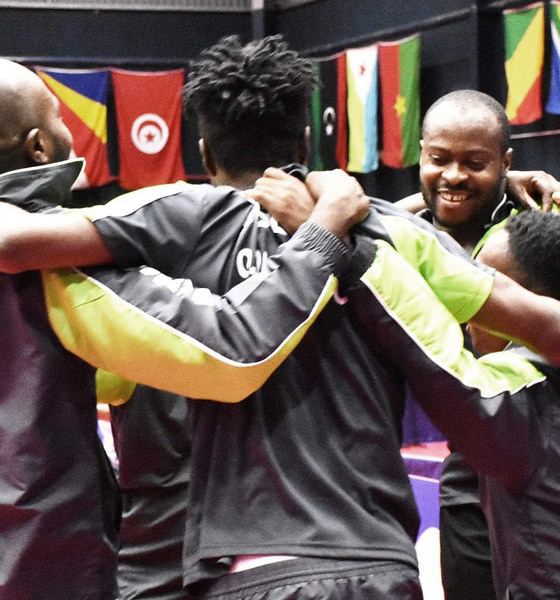 Why don’t you invest in players that already have a name for themselves in international table tennis, but prefer to opt for very young talented players? When I joined GEWO, I of course also talked to experienced players, some of whom are today ranked in the Top 20 worldwide. However, we couldn’t take on board a model, in which we pay players a monthly salary without them believing in our products and playing with them, as well. We prefer to invest in the development and training of young players, whose loyalty we hope to inspire in the long term through our backing of their training and of course, related to it, the development of their game. 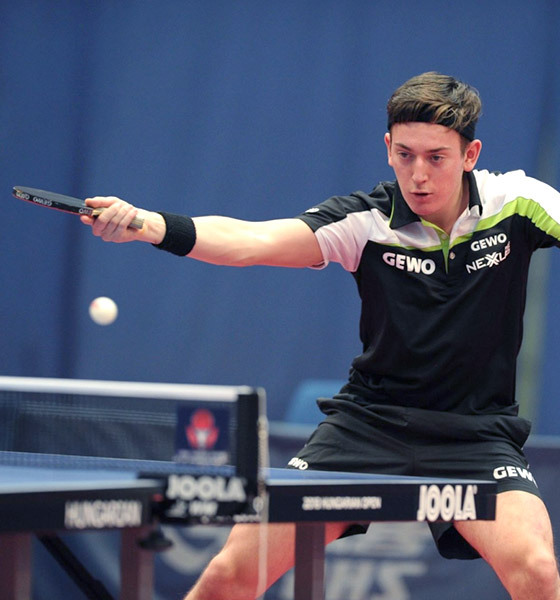 This way, they are also recognised in the table tennis scene as GEWO players. We’re on the right track at the moment with #teamGEWO, but we’ve still an incredible amount of work ahead of us. Bence not only benefits from you as sponsor, you also involve him in product development. He has his own blade – how did that happen? Bence is a very reliable partner and from the first, he has given us his honest opinion on all our products – and also our blades. We jotted down his material wishes; discussed them with our blade production partner and completed the first prototypes. Like with the rubbers – it’s then a case of testing, testing and more testing. First during training, then in competitions. It didn’t take long to spark Bence’s enthusiasm (confirmed by his jump into the world-class ranking). To finish with, we made a couple changes on the handle and developed the design to reflect his homeland. It all took around six months – and then we started selling very successfully. What role does innovation play in your product development? How do you go about things? We always take international trends into account when developing products. GEWO is one of the few brands to offer balls with and without a seam, for instance. Textiles are always ready at the end of the year and waiting to be worn by our players at the first ProTour of the year. We generally start thinking about things in April/May of the previous year – so that’s around a year of planning and production time before the products are stocked in the sports shops. Rubbers also have a very long development time, due to the different test samples, mould-making with the rubber name and the submission of the ITTF samples. Our players and testers are currently working on our Nexxus Pro Hard rubbers, due to come out in 2019. GEWO is sponsor of the Nigerian national team. This is undoubtedly a part of your internationalisation strategy. Tell us more about it. We are not only partner to the Nigerian national team, but are also a long-standing partner of the Serbian national team. It is very important to us to be perceived as a reliable partner on all levels: as partner to up-and-coming players, trainers (like Yoo Nam Kyu in Korea and LMC trainer, Dima Mazunov), clubs at all levels and also to national teams. 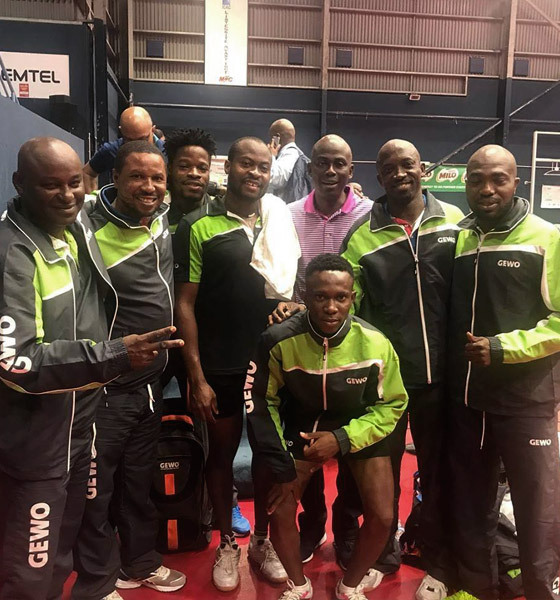 We are outfitters to the Nigerian women’s and men’s teams; the top youth teams and individual top players like Olajide Omotayo also swear by GEWO products. 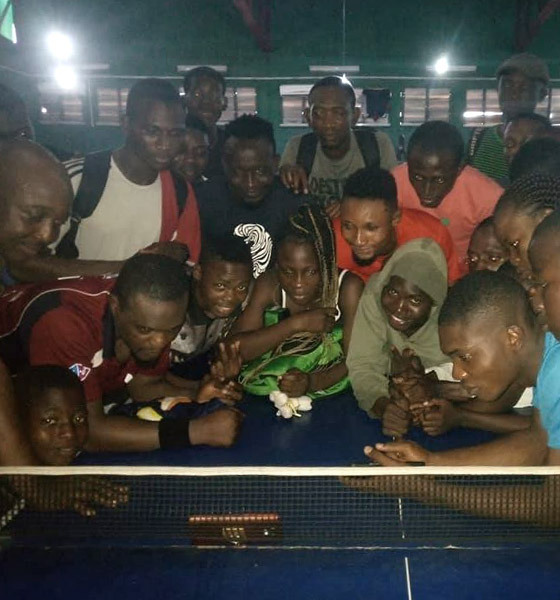 Our tables and surrounds are also used in Nigeria – this summer, for instance the ITTF Challenge series was played for the first time on GEWO products. The tournament organisation was sensational, complete with all its African charm. Two top Nigerian players are sponsored by you once a year in a training camp. Does the LMC come into this at all? I’ll be happy to talk it over with Kristijan Pejinovic – but we are aware that the few places available at the LMC are much sought-after. We are delighted that Hyuk Kwan (Korea’s No.1 in the ten year olds) and Hoyun Lee (Korea´s No.1 in the twelve year olds) will be able to spend 10 days in Ochsenhausen in November. Both are under long-term contracts to GEWO. When our “boys” play a great tournament, I really enjoy my job of course – I attended Lev’s victory in the Youth doubles at this year’s Youth European Championships. You support them the whole year long – so naturally, it’s super to seeing them winning. Without putting on the pressure 🙂 : I’ll also be in Australia for a couple of days at the Youth World Championships. I hope that by December Lev and Samuel will have prepared themselves well at the LMC and have a fantastic world championship. Events like this are the icing on the cake. I’m not such a fan of long-haul flights and overnights in hotels far from home, but that’s part of the job. Taking care of the paperwork and drafting contracts isn’t so thrilling, either.